.TEL is the universally recognised web address for publishing contact details online. Registrants of .TEL domains - individuals or businesses - have the freedom of choice with respect to the hosting and use of their .TEL domain. If desired, the Telhosting platform is available which offers domain owners a compact, feature rich, solution to hosting and publishing their very own digital profile which can be totally managed using free iPhone and Android smartphone apps. A .TEL domain is an excellent beginning for individuals who may be looking to make their first steps toward establishing an internet presence and being discovered in search online. As of March 13, 2017, previous DNS restrictions have been lifted by the registry, allowing .TEL registrants the freedom to choose how to use and host their .TEL domain names. A newly upgraded Telhosting platform is a ready-made option among others for customers to showcase their .TEL domain names. .TEL registrants may access the new, optional Telhosting system at https://www.managemy.tel. More information will also be available on the registry's website (www.do.tel). New content on this and other platforms will now resolve in the DNS. 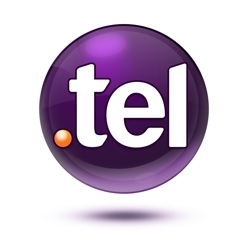 iOS and Android apps will be available that will enable .TEL domain name customers using Telhosting to manage their domain names using their smartphone. Downloads for these apps will be available from Telnic's website or from the Apple and Google Play stores around March 2017. As of March 13th, 2017, the old Telhosting system was permanently shut down and any data was PERMANENTLY DELETED. Registrants who backed up their data may use it as a reference for populating their new account or as a data source for populating an independent and separate third party hosting solution. It is also important to note that Telnic will not run the old and new platform simultaneously and will not be offering sub domain functionality in the new platform. Should .TEL registrants wish to continue to host their domain on a similar version to the current Telhosting platform which incorporates sub domains, please ask them to contact the .TEL registry at cservice@telnic.org to discuss options available. For more details about these changes and Frequently Asked Questions, please refer to the following document provided by the .TEL Registry, as well as the registry's website (https://www.do.tel). There is a special procedure to handle a domain transfer. Please contact our Support-Team if you should need further information. There is no Deletion Restorable Period. The domain registrants who want to us the Telnic new platform(Telhosting) have to update their nameservers to following nameservers.The new registrant can simply use the following nameservers at the time of registration to use the new platform. This page was last modified on 5 June 2018, at 09:50. This page has been accessed 35,266 times.